Today we’re featuring gems from the Pacifica Archives, and asking you to support the Archives: they are perserving our history, the sounds of our struggles and our dreams, and the voices of our heroes. Please call during the hour and pledge: 800-735-0230 – or online HERE . 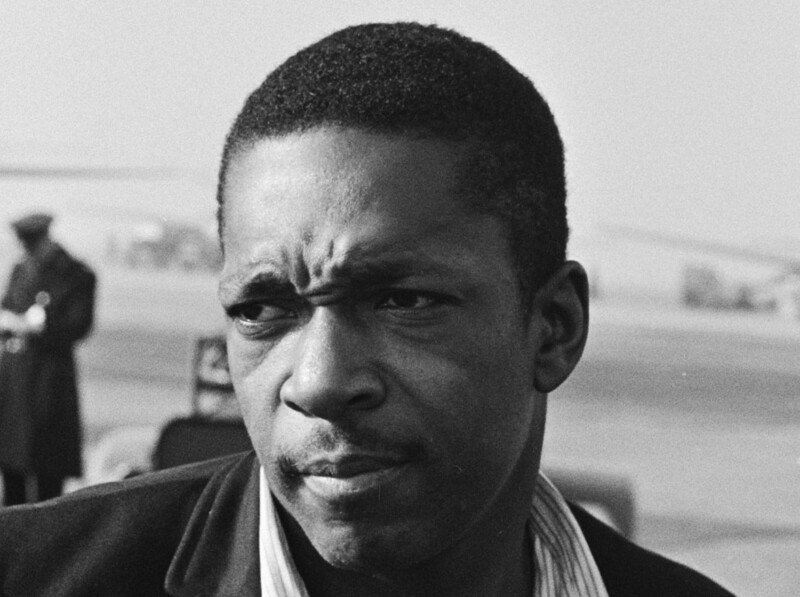 Also: JOHN COLTRANE in 1966 was living on Long Island. One afternoon, Frank Kofsky took the train out to interview him. Coltrane picked him up at the station. They drove around town. They stopped to talk. (Coltrane died less than a year later.) Watch HERE.